To see just how widespread opt out has been across New York State take a look at this map from 2016. New York City is the only area where opt out numbers remain small. One reason opt out is less common in NYC is because many parents are not aware that they have this right. 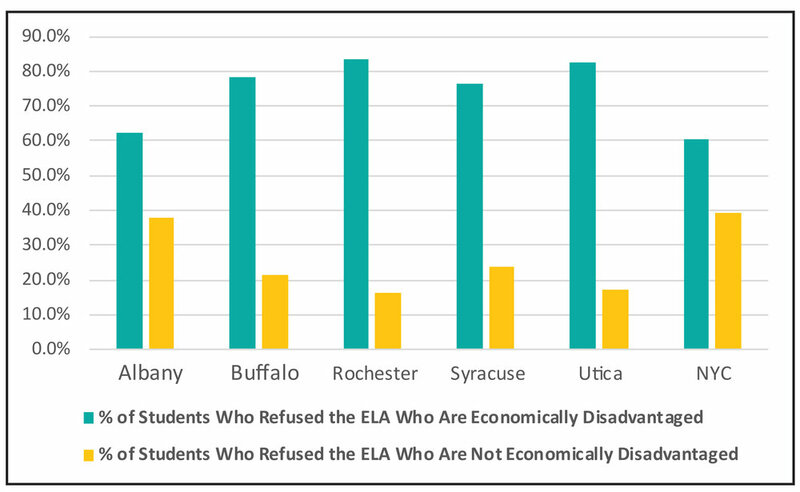 ** See NYSED Glossary of Terms for definition of economically disadvantaged.